In the wide world of modern popular music, there are the quirky Lady Gagas who make us question our aesthetic choices, the sexually charged Shakiras whose hips simply refuse to do anything but tell the truth and the pleasant Lumineers who invite us to pack a picnic and climb and mountain. And these are just to name a few. Then there are the musicians that blast their high-pitched voices through fake teeth while lying in a filthy pile of rats. 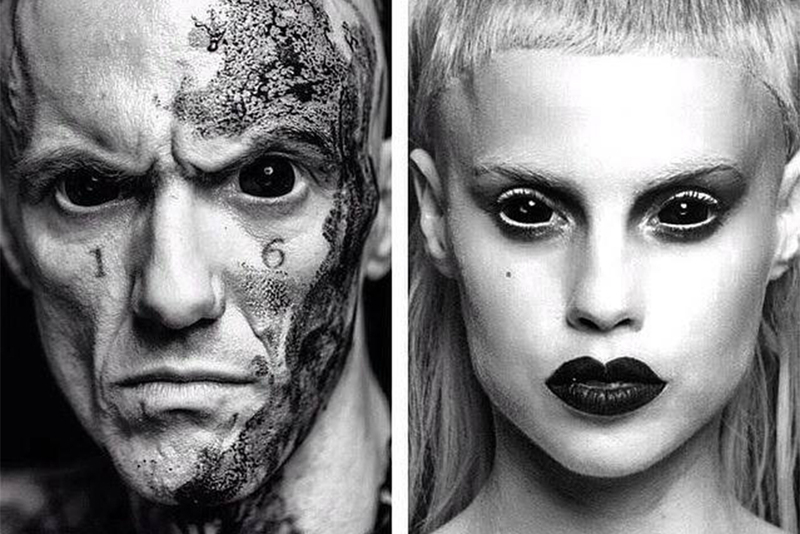 Enter Die Antwoord, the South African rap duo that specializes in filthy expression of pure rave-style madness. You are not ready for this jelly. Composed of vocalists Watkin Jones, a.k.a. Ninja, and Yolandi Visser, Die Antwoord formed in 2008 and subsequently rose to internet fame with the release of their debut album $O$, which featured the highly popular track “Enter the Ninja” and rocketed the duo toward fame on an international level. Following the initial success of $O$, Die Antwoord released their sophomore effort, entitled Ten$sion, which features the now hugely popular hit song “I Fink You Freeky,” which has racked up almost 60 million views on YouTube since its initial release in early 2012. As far as the style of the duo goes, listeners and viewers should prepare themselves for an experience that ranges from intriguing to downright terrifying. A combination of science fiction, dirt and sick beats help make the act one of the more fascinating ones in the music scene to date; no content is too raw or taboo for the duo, who fearlessly pave the road into pure insanity to the tune of some dirty lyrics and a fierce snarl. With an appearance in the upcoming sci-fi film Chappie, the duo appears to be branching out into other realms of entertainment. However, if one thing is certain, it is that wherever this act is going, thumping music and a little mischief is sure to follow.